If you are buying or selling a house and are concerned there is an underground oil tank on the property, Mikula Contracting, Inc. is here to help you with your residential buying, selling, and maintenance concerns. Mikula Contracting, Inc. is a fully insured and certified oil tank scan company throughout the State of New Jersey. 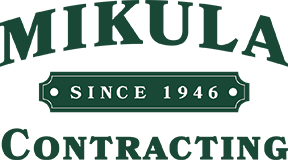 With over 70 Years of Service and Experience you will be completely satisfied that you contacted Mikula Contracting, Inc. for your tank scanning needs. If there is an improperly buried underground tank on your property, you will want to protect yourself from this possible hazard, liability, and financial problem. Whether you are a homeowner, a homebuyer, or a real estate agent Mikula Contracting, Inc. will scan your property in a timely and efficient manner to give you the answers you need to help solve your residential property issues.